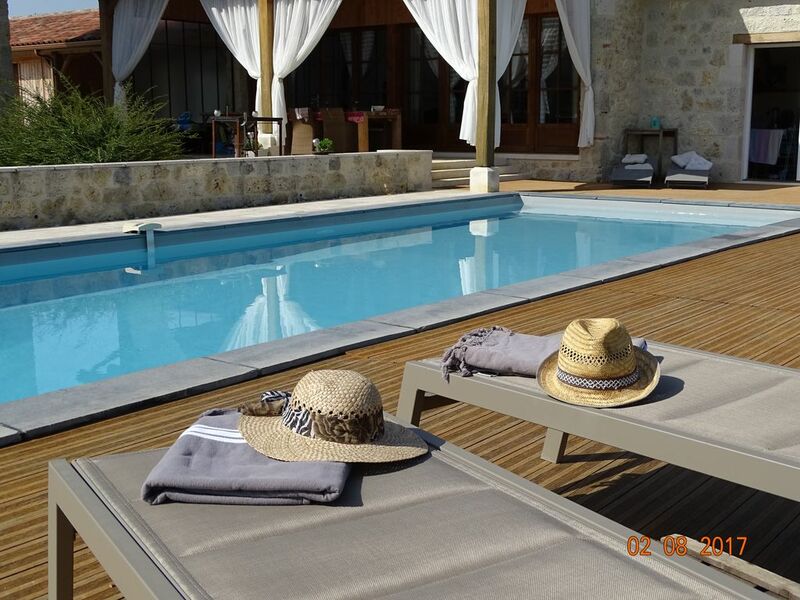 Elegant farmhouse near the village of Prayssas character. Elegant manor-style longhouse near the village of character Prayssas. Looking for charm, comfort and calm, Grand Chemin offers an elegant longère of the end of the 19th century manor style completely renovated close to the bastide, shops and services. Prayssas, this village of character of Region New Aquitaine will seduce you by its authenticity. The landscape of verdant valleys will soothe you and the vegetable gardens will reveal their true flavors. The whole building of stone, wood and metal stands simply but elegantly in this rural and rustic landscape. The gite "Grand Chemin" (120m ²) proposes to you of even foot a big room to be lived with equipped kitchen, space meal and living room (pellet stove), and a room (1x160) annexed with sdd and privatory toilet. Our stay was considered and cared for in every way from comfort to conviviality. This is a beautiful site, surrounded by nature as it is close to a village of character. What makes the careful renovation of this home and the peace of the view worthwhile, however, is the welcome of its owners. As a guest, one feels that every consideration has been taken. This place is giving them such pleasure, they are happy to share it and all they grow in the garden. My two children, my husband and myself could not think of another moment when we had felt so at ease in a gite nor so encouraged to enjoy ourselves. Our highest recommendations. Nous avons été ravis de vous recevoir et de partager notre petit paradis pendant ces quelques jours ! La joie et le bonheur des enfants et des plus grands dans la piscine ont été une belle récompense pour nous tous ! Merci également pour votre gentillesse !